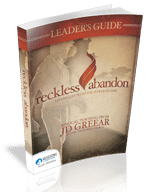 This discussion guide is designed for small group studies and discussions corresponding with the series No Plan B with Todd Phillips. Supplemental handouts to go along with the Courage with Francis Chan youth study. Supplemental handouts to go along with Velocity 3 youth series.